The [British] Home Office expects 545,000 children aged 11 and over to have their [finger] prints taken in 2011, with the figure settling at an annual 495,000 from 2014. Their fingerprints will be held on a database also used by the Immigration and Nationality Directorate to store the fingerprints of hundreds of thousands of asylum seekers. Under the new passport and ID scheme, everyone over 16 who applies for a passport will have their details — including fingerprints and eye or facial scans — added to the National Identity Register from next year. From October 2009, ID cards will be issued alongside new passports. Initially these will not be mandatory, but Tony Blair has said that if Labour is reelected it will make them compulsory, a process that the documents predict will take just over a decade. Children under 16 will not be part of the ID card scheme. 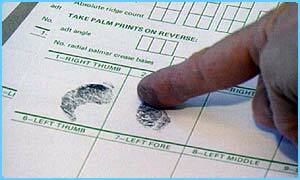 But the documents show that from 2010 they will still have to be fingerprinted for a new passport. The cost will have risen by 81% since December 2005 when it increased from £42 to £51. Last October the price rose again to £66. When Labour came to power in 1997 a passport cost £18. The plans show that the price of a child’s passport is to rise even more sharply, to £58 from the present £45. The price will have more than doubled in less than two years, rising in stages from £25 to £34 in December 2005 and to £45 last October. Critics described the plans as a stealth tax on holidaymakers to pay for the controversial ID cards scheme. Ministers have already conceded that the cost of the new combined ID card and passport will be £93 from 2009, but the documents show that price could rise to £109 at to-day’s prices.